Optimization by Proekspert increases equipment availability by 5% across the shop floor. 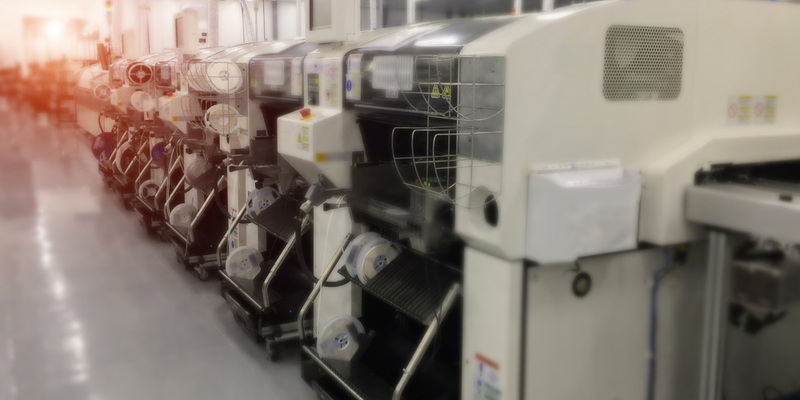 Process optimization facilitates superior automated assembly cycle times, benchmarks operational production and eliminates variances in product quality. The EMS usually recalculates cycle times for its production planning once a year. This is mostly because the data analysis behind adjusting cycle times has proven to be time and labor intensive. Moreover, such analysis produces only point estimate times that give no insight on variability and interdependencies. Relying on real-time production data from MES, and planning data from the ERP, we produced analysis that continuously identifies products and operations with the greatest potential for efficiency gains. Additionally, we dug deeper into analyzing the efficiency of the workforce. Operation times seemed to vary greatly between operators, and there was perceived potential in identifying efficient peers and capturing their best practices. Based on operator work bookings and product complexity, our analysis tool identifies operators which continuously work at low operation times, and variances. When we looked at the total time savings, there were a few products and operations that stood out in particular. The most savings occurred when variance in functional and integration testing was decreased. On SMA line it became apparent, that there is some excess capacity hidden into cycle times. In general, the planned cycle times per component exceed the actual median cycle times. When looking at worker efficiencies, it became apparent that there exists a small subgroup of efficient workers, who operate at low time bookings and whose work times are very stable (i.e. no high outliers). Those workers should be used as trainers, and their work practices should be recorded. Benchmark operator time for Manual assembly phase to approximately 2.5 sec per component. Look into sources of variance in operator work booking times in pre-handling and Final Assembly phases. Implement adjusted cycle times for FCT. It appears that you are overestimating the time required to complete this step for some products. Look into items recommended for possible benchmarking. Look into the variances in ICT cycle times. Due to lack of data, it is not currently possible to gauge the reasons behind high medians and variances for some products. SMA cycle times are more or less accurate, and current planning figures tend to overestimate the full capacity of the line. Look into items recommended for possible benchmarking.